Comodo AntiVirus 2019 leverages multiple technologies (including on demand and on access scanning, email scanning, process monitoring and worm blocking) to immediately start cleaning or quarantining suspicious files from your hard drives, shared disks, emails, downloads and system memory. 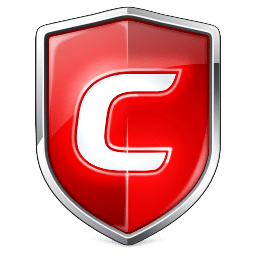 Comodo Antivirus 2019 is the free way to rid your computer of viruses, malware, Trojans, worms, hackers, and other Internet threats. It takes security to the next level by introducing auto-sandboxing of untrusted files – totally isolating unknown threats in a virtual operating environment where they cannot do harm. Comodo Antivirus 2019 even scans compressed .zip files, where viruses often hide. Proactive intelligent protection intercepts unknown threats. Also includes a mechanism for you to submit any files you think are suspicious to Comodo for analysis. Free automatic updates for the latest in antivirus coverage. It’s real protection at no cost. Prevention-based security. Stops viruses and malware before they access your computer … so it isn’t too late to stop them. Sandbox technology. The sandbox is a virtual operating environment for untrusted programs. It ensures viruses and other malicious software are completely isolated from the rest of your computer. Full Microsoft Redstone 5 Support. Long path and case sensitive filenames support. Extended Containment Rule “Created By” criteria with “Rating” attribute. Extended sanbox rules with a vendor as a criteria. 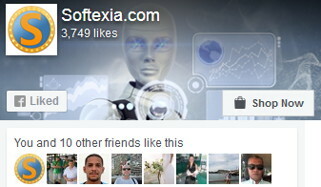 Extended Vendor List with User rating. “Heuristic Command-Line Analysis” and “Embedded Code Detection” for scanning and monitoring of auto-run entries. Option to automatically scan plugged-in devices. Widget is hidden by default but can be changed with an install setting available through the Options button. WDSC integration performance and stability improvements. Fixed extended OS boot time in some cases. Fixed defect where full scan fails in some rare cases. Unrecognized file does not launch in Sandbox second time after first viruscope detection. Defect where ‘Cmdagent.exe’ consumes 40-50 % CPU constantly in some cases. Rules for Website Filtering can’t be added if all rules was deleted. Uninstall of CIS Premium is periodically failed. cmdagent.exe unexpectedly terminates in some rear cases. Defect where cmdagent.exe unexpectedly terminates after install CIS with Secure Shopping on XP. Sandboxed .bat scripts are displayed as cmd in active processes list. Containment resetting process takes a long time in some cases. Not able to play videos in Facebook inside sandboxed Opera. why download from its site contains 144.38 MB not 49.8 MB ?? ?